Logitech hardly needs an introduction as a company. For decades, the company is omnipresent in the peripherals market. 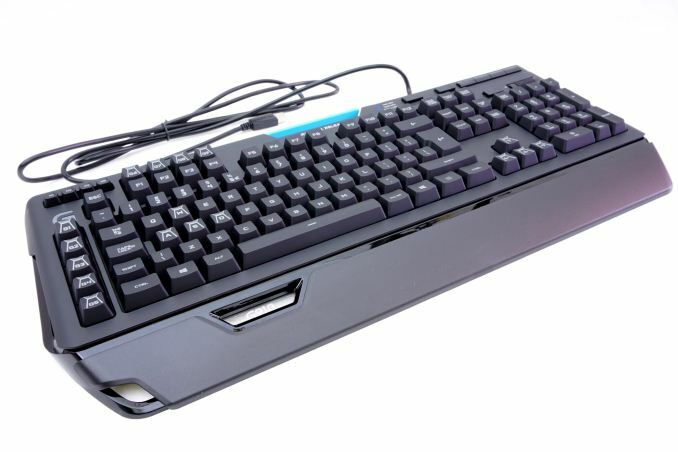 From low-cost office keyboards to advanced gaming mice and from headsets to console gamepads, the company offers numerous products for nearly every kind of system. Successful as the company may be, Logitech’s first endeavor to release top-tier mechanical keyboards was not quite up to the company’s well-earned reputation. The first few models that the company released had certain drawbacks and failed to convince reviewers and customers alike that they were deserving of their very high retail price. Logitech however did not sit on their laurels. After the company had amassed enough feedback, they released new keyboards, some based on older models with certain corrections, and a few others based on new designs. 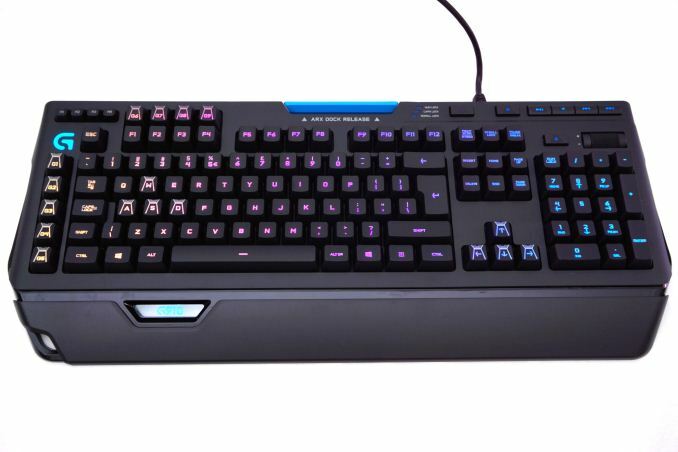 Today we will be having a look at Logitech’s new flagship mechanical keyboard, the G910 Orion Spectrum. It is largely based on the infamous G910 Orion Spark, essentially correcting the issues that kept the previous model from gaining traction. This review also marks our first look at a product with Logitech’s Romer-G switches, which are made by Omron and are exclusive to Logitech. 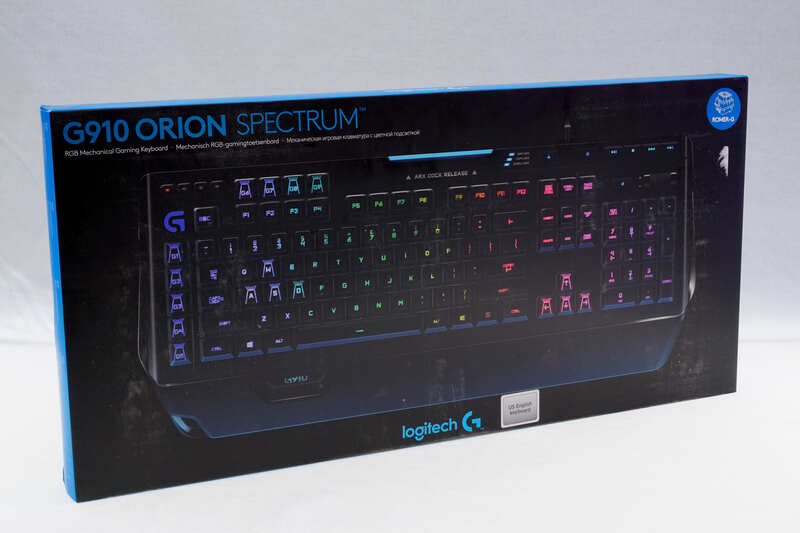 Logitech supplies the G910 Orion Spectrum in a wide, yet very thin cardboard box with narrow walls. The company probably tried to minimize the shipping costs of the keyboards, but the level of shipping protection is only borderline acceptable. The artwork on the box is very simple and serious, based on a good picture of the keyboard itself. Logitech bundles nothing other than a basic quick start guide alongside with the G910 Orion Spectrum. I don't have the Specturm, but I can tell you that the Spark is more stable than the K90 as far as lateral key wobble goes. I'd expect the Spectrum to be similar as they both use Romer-G switches that support the key closer to the edges rather than the middle. There is also no keyboard flex to speak of that might, in other keyboards, contribute to lateral instability. The Spark's key caps are not easy to slip off of either, but it seems many people don't like the ridges. I actually didn't mind the Spark's key caps after I got used to them. I found myself more accurately hitting the middle of the key and less often catching the edge. The palm rest looks to be a big improvement, though, and I'm wondering if I could acquire a spectrum palm rest for my spark. They look to have the same mount. Of course, I paid less than $100 for my Spark, and certainly don't think it is worth an extra $80 to change the keycaps and palm rest. That said, I wouldn't recommend skimping on it if the key caps bother you either. I always find it funny how much some people will spend on the internals of a computer while neglecting the three devices that make up %90+ of your interaction with the computer (Monitor, Keyboard, Mouse). It's not technically wrong to use myriad in noun form, but please...reconsider doing so. "Logitech is perhaps the most reputable manufacturer of peripherals on the planet, with [myriad] products for PCs, mobile devices and consoles." myriad is an adjective and a noun. Your reply contains a myriad of inconsistencies.